I had mentioned in one of my previous posts my love for Indian sweets. Burfi is my favorite among all and I only make them occasionally though. But whenever my brother visits us, I make sure to prepare this sweet as he likes them too. I have some funny story related to Burfi from my childhood which has been told over and over by our parents and laughed about several times. I don't remember it as I was 5 or 6 years old and my brother being younger than me had no chance to remember the incident. We were in North India and my parents had a big circle of friends. During one of the usual visit to one of the family friend's house, my lil brother found this plate full of Burfi on the table, which was of course for the guests. He went straight to the table and innocently grabbed a piece. I too joined him and enjoyed the sweets well. On the way back home, my Dad stopped at the sweet store; bought couple of boxes of Burfi. He was disappointed at our behavior which we had no clue. It was the time for learning good manners for both of us; how to behave in other's house; get snacks only when it is offered or just simply say 'no, thanks'; the lessons went so on. So with the new lesson learned we happened to visit the same family after a month or so. There again was plateful of snack for us. This time both of us pretended that we didn't see the snack at all. The snack was untouched for some time, the mom of the house might had felt something fishy, she came up to us and offered the snack. As learned from our previous disciplinary session we both said, 'OUR PARENTS SAID WE ARE NOT ALLOWED TO EAT FROM HEREEEEEEE'. Even imagining the face of my parents makes me chuckle now. They might have been ridiculed so much in front of their friends. From Dad and Mom's stories we found out that my parents intervened and corrected the 'verbiage' we used and tried to make up for what we said. But that was a good lesson we learned how to behave at other's house. My Dad being an Air Force Officer, he was strict about table manners and discipline when we were kids, but I guess that helped us to mold our behavior later on. 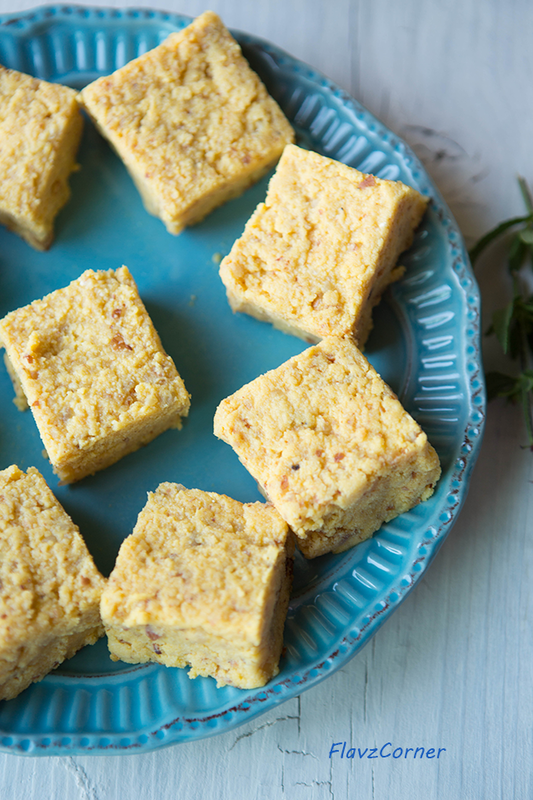 So now you can guess why we love Burfi so much!!! Melt 1 tsp of butter in a non-stick pan and add the Ricotta cheese to it and cook for 3-4 mins. Add the sugar, milk powder, mango puree and crushed almonds to the Ricotta Cheese. Use a long wooden spoon to stir occasionally. Use a low flame to cook it ,otherwise it will splash and cause burns. It takes almost 40 minutes for the mix to thicken and separate from the sides of the pan. 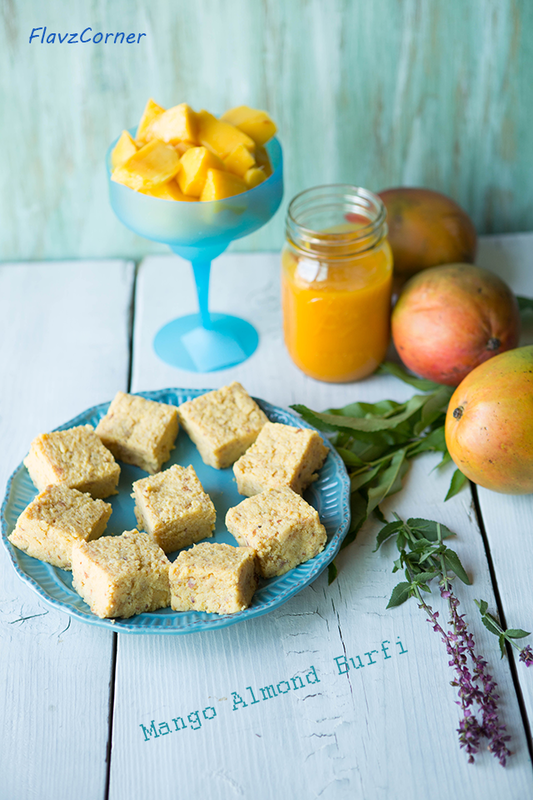 Apply 1/2 tsp of ghee on the rectangular 8' x 8' /20 cm x 20 cm glass/ ceramic pan and transfer the burfi to the container. Apply 1/2 tsp of ghee and flatten the burfi using a spatula or spoon. Cover it and refrigerate for overnight. It can be sliced into desired shapes. You can substitute almonds with cashew nuts or skip the nuts. If you are not adding the nuts, make sure you substitute it with milk powder so that the burfi can be set easily. Make sure you use a flame between low and medium so that the cheese will not be burned and the hot mixture doesn't splash. Use a wide deep bottom pan that have enough space to remove the moisture quickly. I set the timer between every 10 minutes to stir the mixture since I was using low flame. I have never had a barfi...but from the listed ingredients, I know I would definitely love these bars. Burfis are my fav too :-) these looks truly delicious. What a great story! I had a similar lesson from my parents when I was young. ;-) Great recipe, too -- thanks. Ha ha Shibi thats a funny story..The sweet looks so tempting to resist..thanks for the comments Shibhi..I am still running dear,but too hot to run these days but still run atleast 5 K / 7 days a week..funny part is I didnt loose any weight inspite of running that much for almost 2 months..I guess i am compensating that with the extra calories! These are so creative! My mom and wife are huge mango fans... I think I need to make this for them! It's so interesting how food and sweet & good memories with our families are related. That was a good family story. 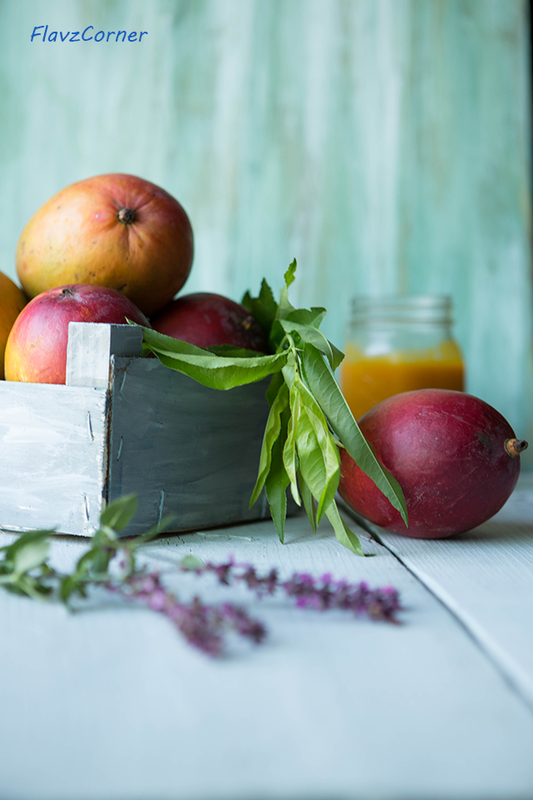 I am a mango lover, we had mango trees in the backyard of the house I grew up, and this recipe it's so yummy, and so different, I want to try it. These are fantastic flavors and textures to mix.